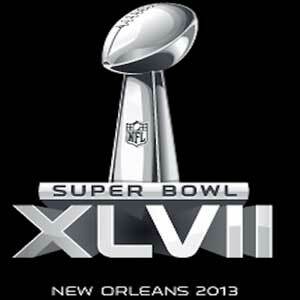 Superbowl 2013 is over and the Ravens are the new champions. I am not a big football fan. I watch the odd game on a Sunday afternoon but I don’t have a favorite team or anything. Well I kinda like the Redskins but that’s about it. Yesterday’s game was more about the food and the good time hanging out with family and friends than it was about the game. Oh, and also about the commercials and the halftime show. Were you still watching when the lights went out? What’s up with that ? Know what I think? I think there was some guy or guys outside who wanted to get in but couldn’t. So they did something like pulled a plug or whatever, plunged the place in darkness then sneaked in. Didn’t you noticed there were a couple faces you saw in the second half that you didn’t see in the first? Yep, that’s exactly what I think happened. Share that. Or it could also have been a ploy by the 49ers. Maybe they used the cover of the blackout to spike the Ravens’ Gatorade. That would explain the sudden turn around in the ball game…Nah! I’ll go with the first one. What else? Oh the commercials. That psy guy is all over the place eh? His 15 seconds of fame is turning into 365 days. Did you catch his commercial, doing the Gangnam style and all? And the actual football game? Did you happen to catch a bit of it in between commercials? It was a yawner before the lights went out and I actually thought the Ravens were going to murder the 49ers. (Oops, pardon the Ray Lewis pun. You didn’t catch that?) but after that it got a bit more interesting and the 49ers acquitted themselves well. (Sorry, couldn’t help that one). Oh and how awesome and touching was that performance by the Sandy Hook kids, (I call them survivors)? Too bad most of us only chose to remember Beyonce’s legs. So, do you think Ray Lewis got away with murder? Ok nevermind. Sorry for bringing that up. I think he did though.